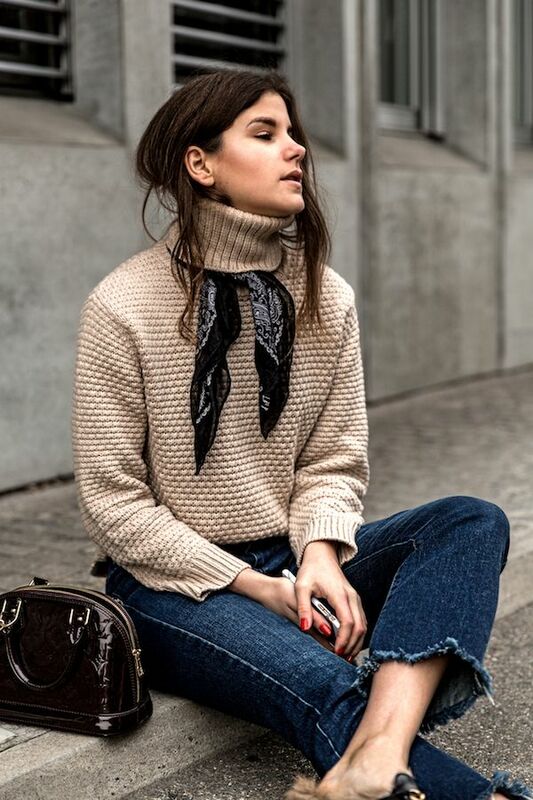 Swiss blogger Michèle is serving up some fresh inspiration on how to wear a neck scarf in winter. And to our surprise, a textured turtleneck sweater is involved. 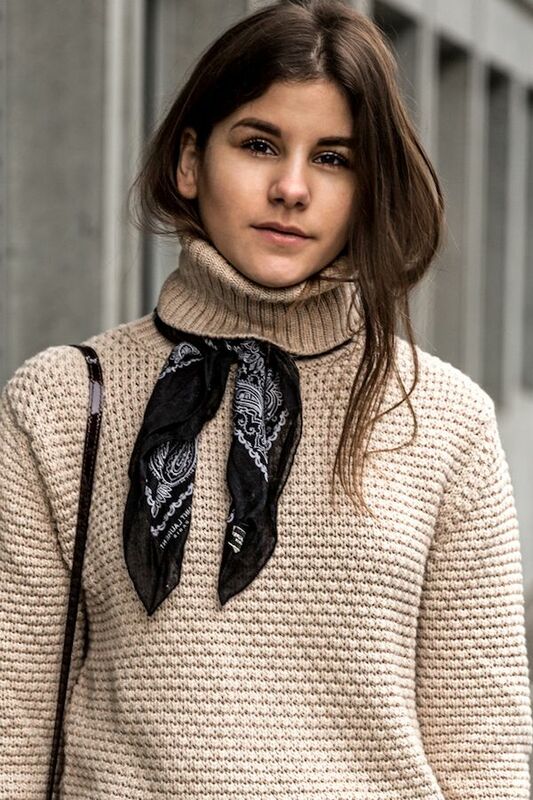 The trick is to tie the scarf over the turtleneck and then tuck the scarf under the fold. Complete the outfit with a pair of dark raw-hem jeans and fur-lined mule flats.